In my own opinion it is a birthday wish, you might as well write out the whole word especially if it is heartfelt, Face book has made it easy for one to wish people a happy birthday even when you don’t remember all you need to do is glance at the “Birthdays” section on you Face book page and alas you know whose birthday it is and start typing, HBD, LLNP. Hmm. Just to let you know, I wont do that to you. So when it is your birthday you would receive at least a 15 word birthday greeting. I don’t know how you feel about the abbreviation of a birthday greeting, it doesn’t seem appropriate but yet again should I say is there a proper way of wishing someone a Happy Birthday? I want to know what you think. 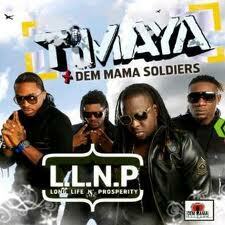 By the way I went to the Timaya concert last weekend and I got a copy of his cd called LLNP. I just looked at the CD an hour ago and realized that. What an irony? Happy Friday everyone. I actually HATE it when ppl type HBD, LLNP. I dont like it at all. I hate it too. I'm gona restrict pple from posting on my wall a few days to my birthday. What i also hate is when a person restricts pple from posting on his/her wall and people just go to the person's last post and type the birthday greeting there. Then you'll see stuff like "Toinlicious: I so hate my job right now" and in the comment section, you'll see about a hundred "happy birthday/HBD"
I think it's the height of laziness. I have never done it and will never do it. This is why i make sure my facebook account is deactivated every year around my birthday (at least a week before). I have no need for perfunctory birthday messages. Funny enough, tons of people still call me and i appreciate it even more because i know these people actually know and remember my birthday without the aid of facebook.